Well, with the MOS securely attached to my bedside table, now there is. 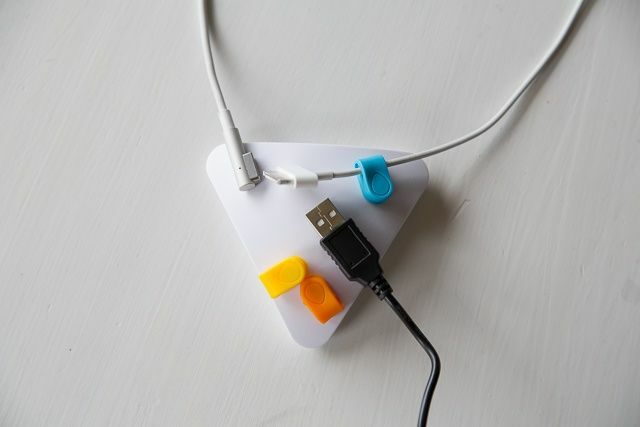 Harnessing the power of magnets, MOS (Magnetic Organizing System) is a handy little puck that keeps your cables stuck to its surface and ready for use instead of lying listless and tangled on your desk or floor. You can’t see them, but micro-suckers keep MOS stuck to almost any surface. 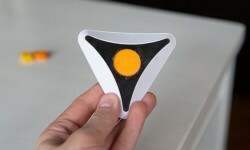 Looking like a white puck, only more of a triangle shape, MOS’ super-grippy bottom sticks to almost anything. But not with glue! 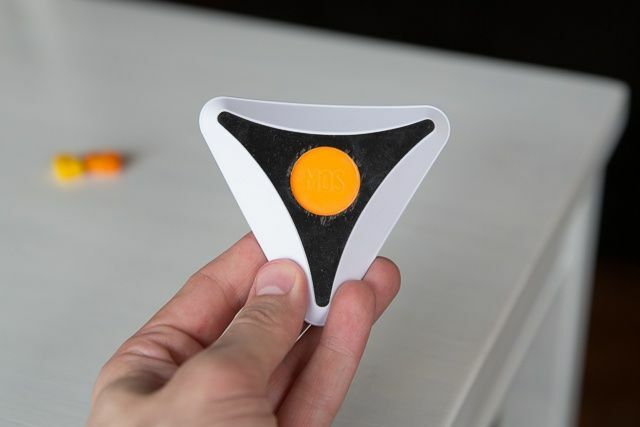 No, in lieu of adhesive that can’t be unstuck and can’t be reused, the MOS uses a pad of micro-suction cups, and those little suckers do a great sticking to most of the surfaces I tested them on—even wood. Once stuck, managing your wires is as easy as touching them to the MOS’ top. Anything that is attracted to magnets instantly latches on. Brilliant! 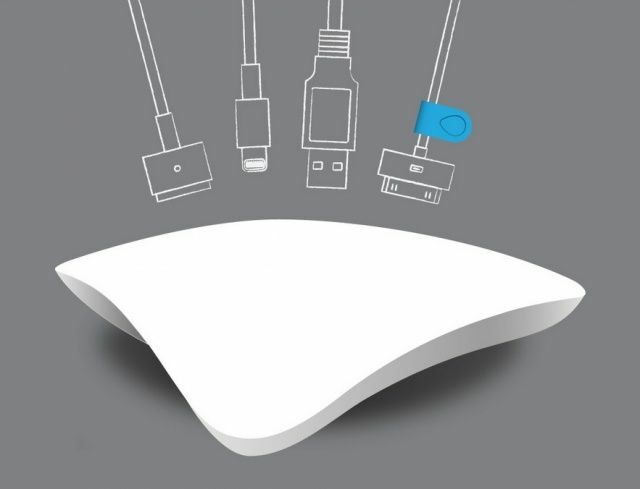 Now your Lighting cable’s tip is sitting right there, always ready for you to grab it and plug it in. 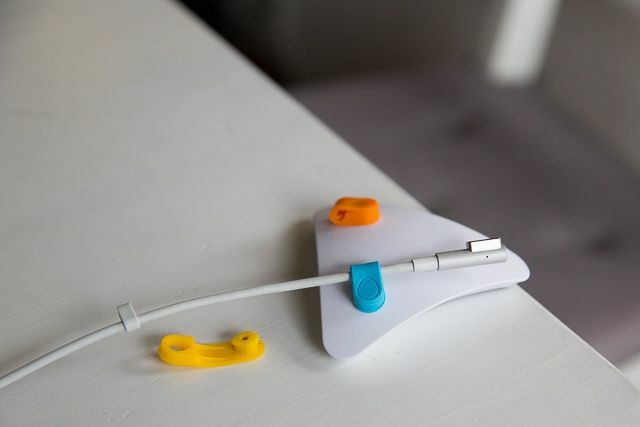 No more fishing for charging cables off your desk or floor. MOS includes 3 magnet claps for wires that aren’t drawn by its magnetism. For the cables that can’t be controlled by Magneto? MOS includes three rubbery clasps that can be quickly affixed to most regular size wires so they too will stick confidently to MOS. MOS is one of those rare instances where a great idea, combined with astute design and keen execution, delivers a product that works as well as promised. It may sound hyperbolic, but in this modern life full of charging cables and wires, I feel like MOS has made my life a little bit better. The Good: Keeps the wires in your life organized, easy to access, and ready to use. The Bad: If you don’t have one, that’s bad. 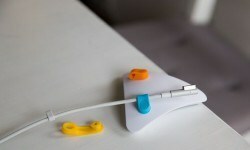 The Verdict If you have cables and wires flip-flopping about your desk or floor, you’ll love the MOS.